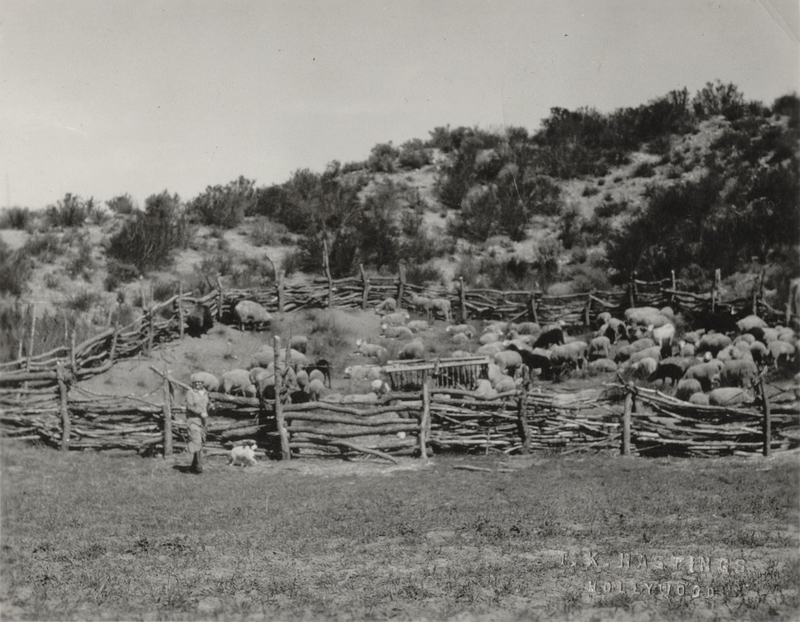 SCVHistory.com DC2607 | Harry Carey Ranch | Sheep Pen at Carey Ranch, San Francisquito Canyon, ~1926. Sheep in pen on the Harry Carey Ranch in San Francisquito Canyon, Saugus. Undated photograph with an unidentified person in it. Harry Carey Jr. (Dobe) identified similar photos as 1926 or 1927. He referred to the sheep as "Navajo sheep," a reference to the Navajo workers who lived at the ranch until about one month prior to the St. Francis Dam break of March 12-13, 1928.